First peek under the tissue! 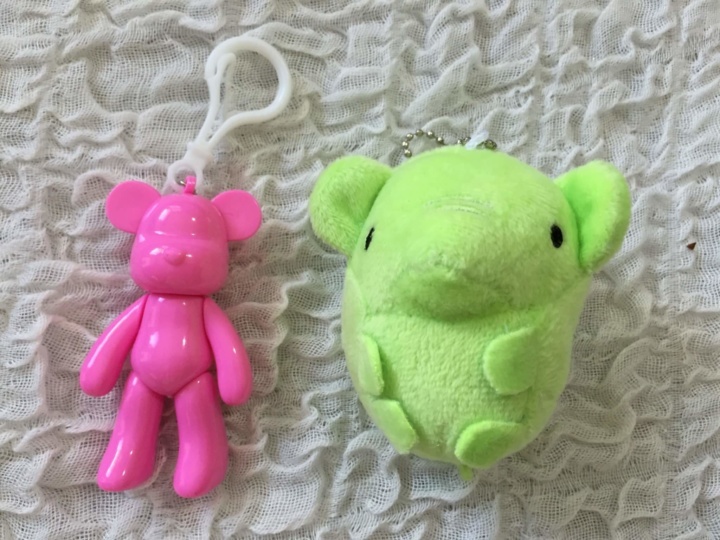 We were sent two keychains which I think would also look super cute clipped onto a purse in addition to your keys! 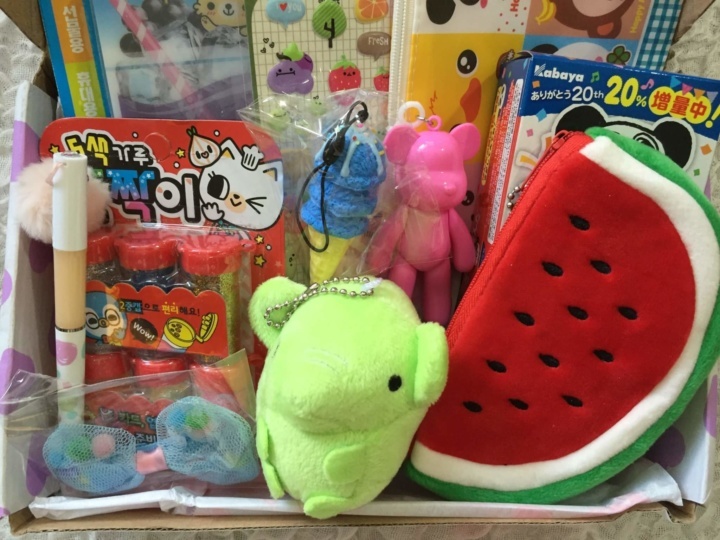 The bear is made of plastic, while the baby elephant plush is soft and squishy. 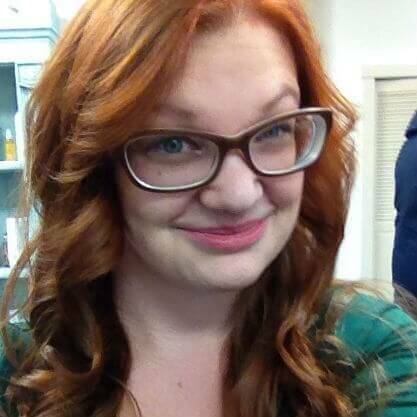 It’s so cute! His nose is kinda short though; I didn’t know he was an elephant at first! 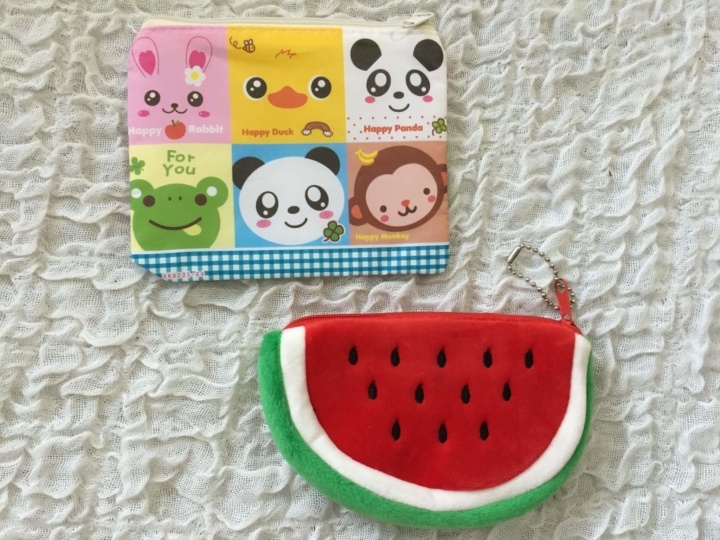 These two pouches are adorable! 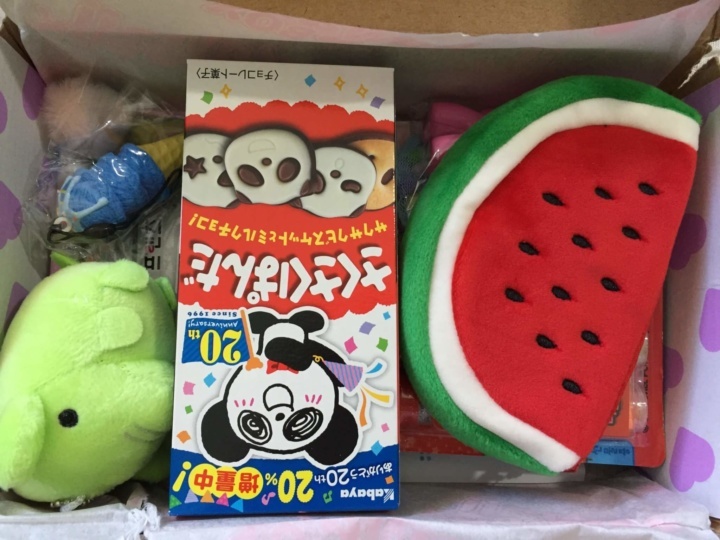 The animal one is made of a thin cloth, and the watermelon (so cute!) is soft plush with a keychain fastener. I have been collecting coin purses lately since my wallet doesn’t have a roomy coin compartment. These fruit stickers are puffy and adorable! I will use these in my planner, absolutely! 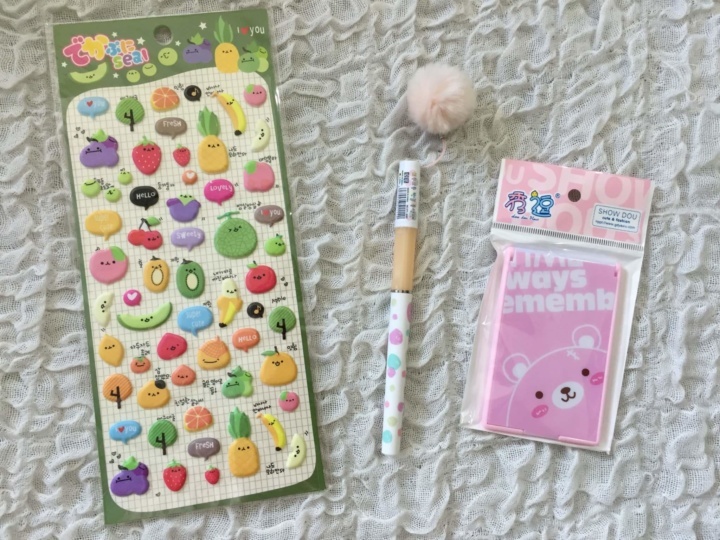 There’s also a very cute polka dotted pen with a pompom on top, which I absolutely love — it’s from Korea, and I love their pens because the point is so fine! 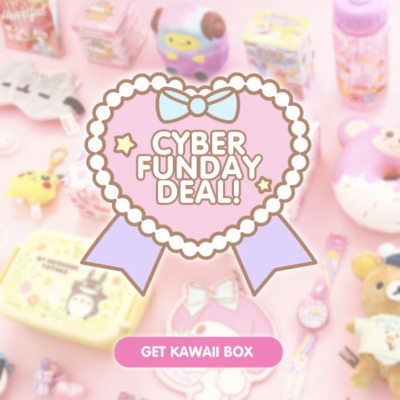 The pink bear is actually a compact mirror — it’s a bit too young for me so I’m giving it to a friend’s little girl who will love it. 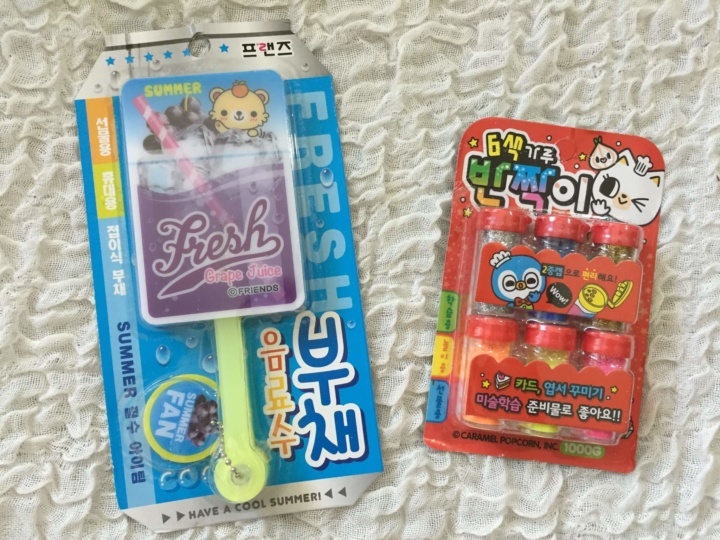 The item on the left is actually a fan — perfect for summer! 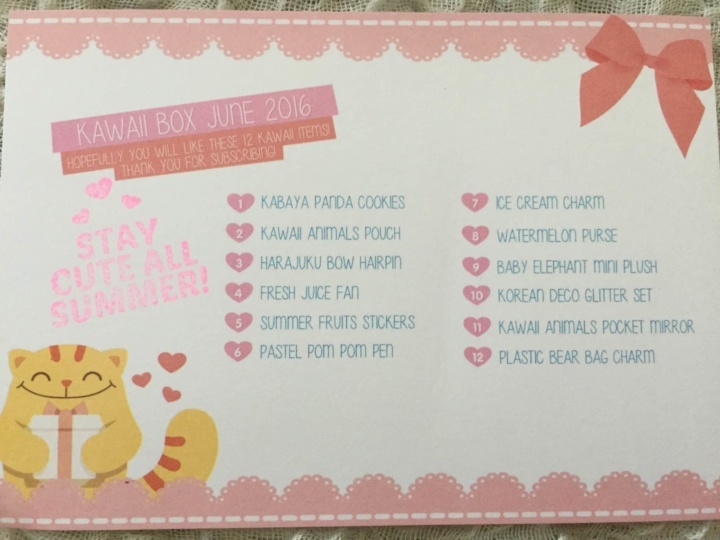 There’s also a glitter kit, which is a bit too messy for me, but would be a lot of fun for arts and crafts! It’s my first squishy! This soft foam ice cream cone is really cute! 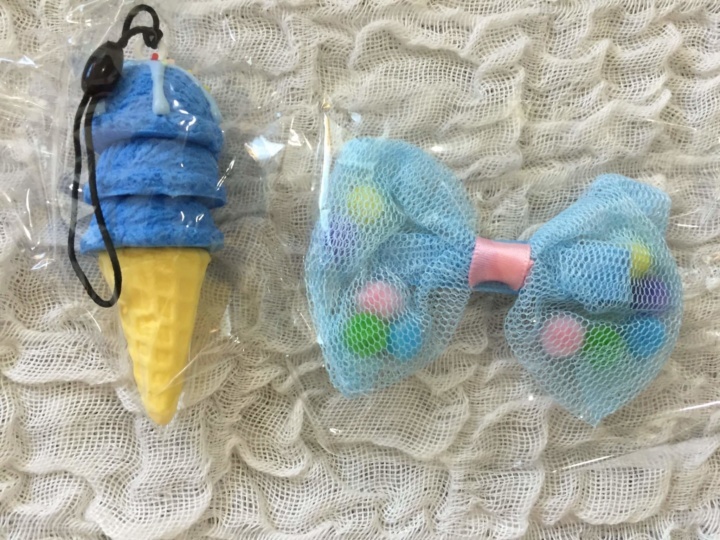 And the hairbow is also very cute with the enclosed pompoms. Finally, a tasty snack! 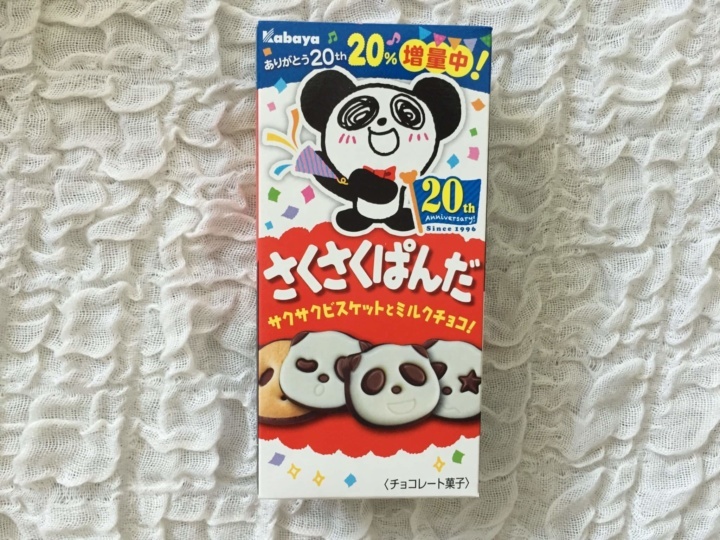 These chocolate flavoured panda cookies have vanilla icing on them! I really liked them, but they are pretty sugary! 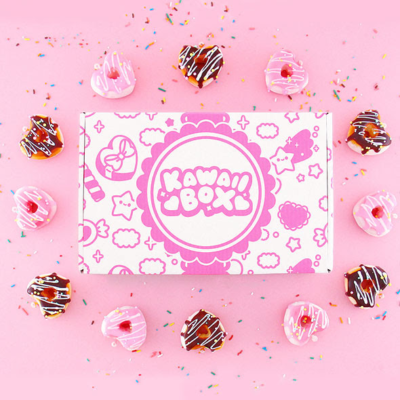 Kawaii Box is super cute! 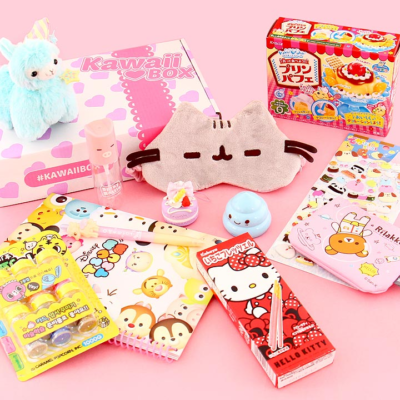 For me, personally, it was a bit young — I love kawaii items that are more functional (I collect cute mugs, chopsticks, and stationery!) 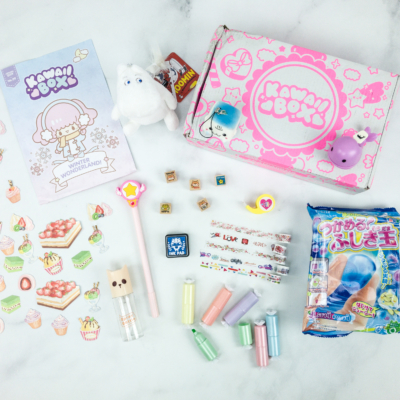 but I think this box is full of goodies that would make a kawaii collector really happy! 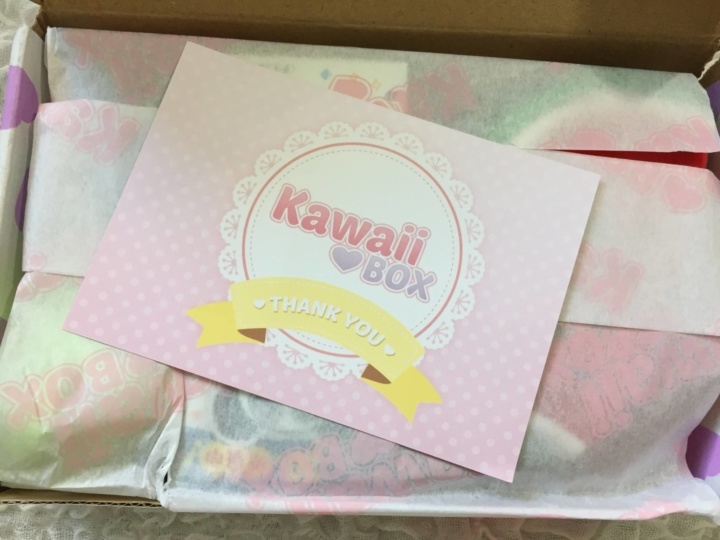 What did you think of June’s Kawaii Box?